Intel's eight generation of CPUs go by this codename and represent the successor to the Socket 1151 Kaby Lake and Skylake series. Although they share the same socket designation, they are not compatible with older chipsets due to a range of optimisations to Coffee Lake CPUs. On this basis, they require a 300- series chipset. 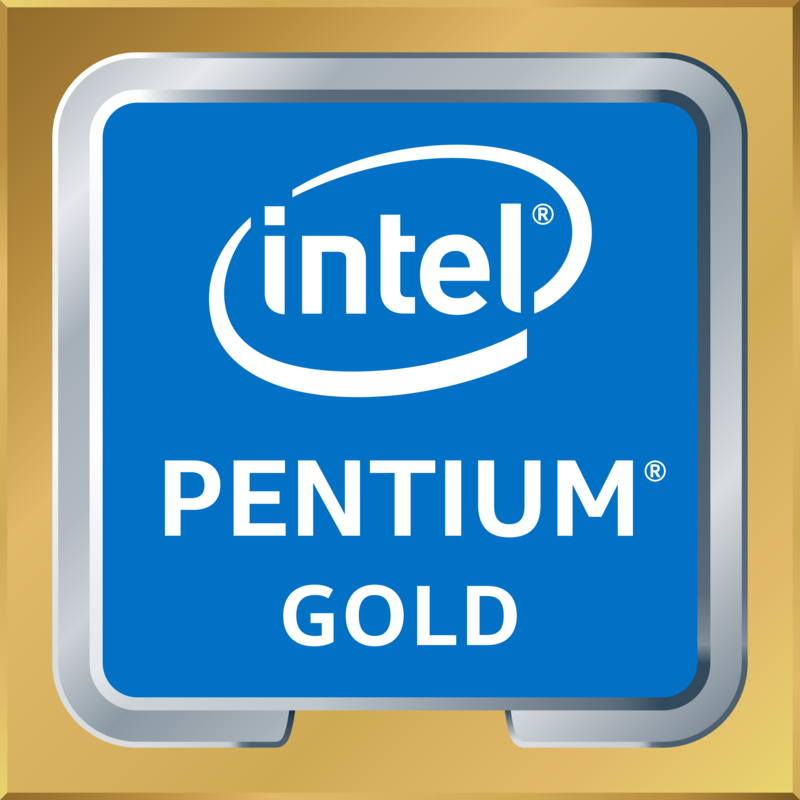 The Intel Pentium Gold processors from the Coffee Lake generation offer two CPU cores and Hyper-Threading as well as high clock frequencies - and all at a TDP of just 54 Watts TDP! 2 physical cores, 4 logical cores thanks to SMT! Only compatible with motherboards utilising 300- series chipsets! Attention: Boxed version with CPU cooler! The Intel Pentium Gold G5500 offers a clock frequency of 3,8 GHz which offers plenty of power in games and applications. The L3 Cache has been increased to 4 Megabytes, the Thermal Design Power (TDP) sits at 54 Watts and as a Pentium Gold edition this dual-core processor comes with Intel's Hyper-Threading technology, meaning that not two but four threads can be processed simultaneously. One fundamental difference compared to the Skylake- and Kaby Lake generations is that Coffee Lake is only compatible with faster and more efficient DDR4-RAM. The four-core processors support frequencies up to 2.400 MHz while six-core processors support up to 2.666 MHz. In terms of the socket itself Intel has opted to retain LGA 1151, although it is vitally important that a motherboard with a 300- series chipset is used. This is due to the fact that the processor may otherwise suffer damage due to alterations in the power delivery system. In direct comparison to the 200- series, 300- series processors allow for improved power delivery for the entire CPU - thereby improving overclockability. The integrated GPU has undergone similar improvements in terms of clock speeds and drivers, now bearing the new Intel HD Graphics UHD 630 designation. With its 24 Execution Units it offers more than adequate graphics power as well as Intel Quick Sync, GPU Compute and of course a game or two as well. Furthermore the GPU supports DirectX 12 with Feature-Level 12_1, OpenGL 4.5 and OpenCL 2.0 as well as 4K- and UHD resolutions at 60 Hz via Displayport. This requires a compatible motherboard. This boxed version of the processor includes a compatible CPU cooler from Intel. More links for "Pentium G5500 3.80GHz (Coffee Lake) Socket LGA1151 Processor - Retail"